Korkut's side did well until Mueller set up Goretzka to break the deadlock minutes before the break. The former Schalke midfielder stopped the ball with his left boot and dispatched it with his right past Ron-Robert Zieler inside the far post. Milot Rashica scored from a brilliant free kick in injury time for Werder Bremen to beat Eintracht Frankfurt 2-1 and ruin Kevin Trapp's return. The Germany goalkeeper rejoined Frankfurt from Paris Saint-Germain the day before, returning on loan for the season due to Danish goalkeeper Frederik Ronnow's knee problems. Frankfurt played most of the game with 10 players after Jetro Willems struck Bremen's Theodor Gebre Selassie in the face after half an hour played. It wasn't a game for goalkeepers. Bremen's Jiri Pavlenka was stretchered off the pitch in the second half after bringing down Mijat Gacinovic, giving away a penalty and injuring himself in the process. 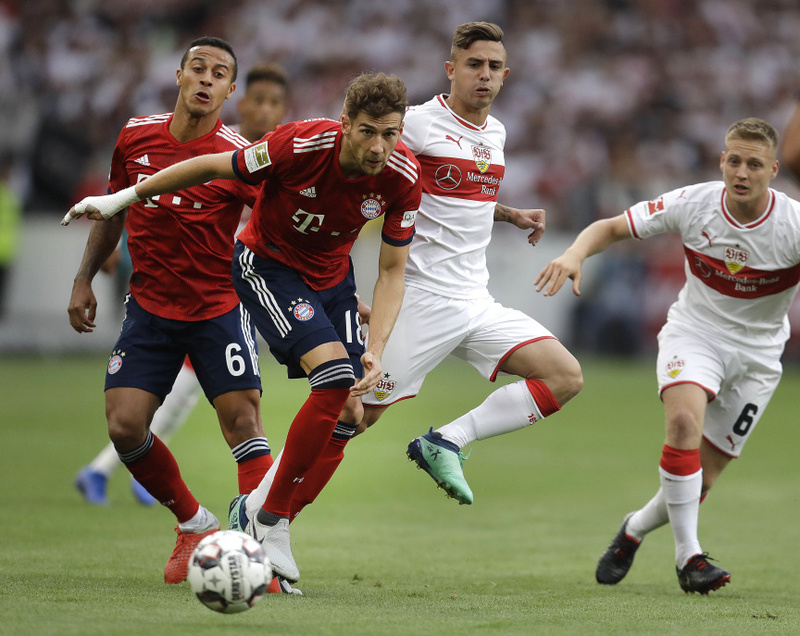 Then the 18-year-old Luca Plogmann's first action on his Bundesliga debut was to pick the ball from the inside of his net after Sebastien Haller beat him from the spot to equalize. Wolfsburg's promising start to the season continued with a 3-1 win at Bayer Leverkusen. Bruno Labbadia's side, which only survived relegation through a playoff last season, came from behind after Leon Bailey put the home side ahead with a fine strike in the first half. The visitors equalized through goalkeeper Ramazan Ozcan's own goal, then went ahead through Dutch striker Wout Weghorst's first Bundesliga goal before Renato Steffen claimed his first to seal it.